The biggest, longest, and most interesting holiday in Vietnam, the Vietnamese Lunar New Year, is expected by all Vietnamese people on one side and even foreign tourists on the other side. 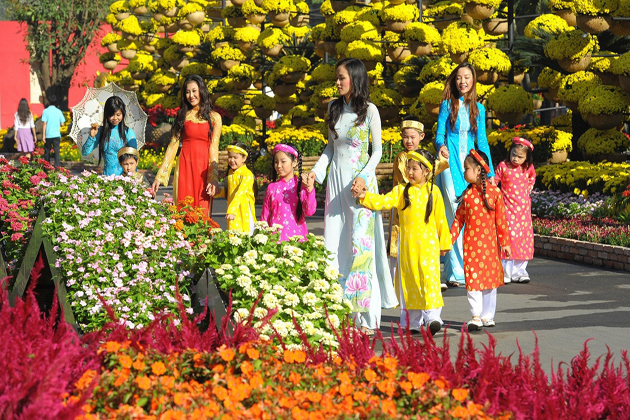 Tet holiday is the rich mix of the cultures, history, customs, and tradition of the S-shaped country. 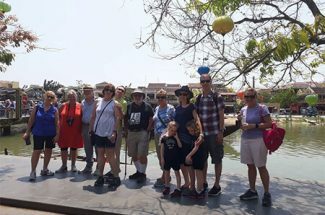 Therefore, a visit to Vietnam on the occasion of this amazing holiday will be completely worth your while during your Indochina tour. 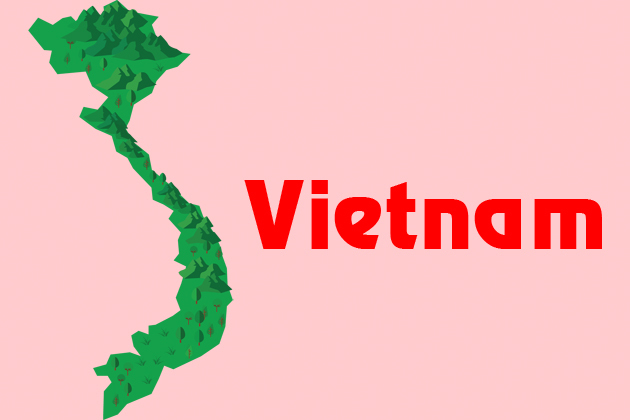 What is the Vietnamese New Year? Vietnamese New Year, also known as Tet holiday or Tet Nguyen Dan, is considered the most important and biggest festivals in Vietnam. The word “Tet” is originally Sino –Vietnamese which means “Feast of the first morning of the first day”. Similarly to Chinese New Year, Vietnamese people celebrate the arrival of the spring based on the lunar calendar (Chinese Lunar Calendar), so it easy to find that the New Year’s dates are fluctuant in the solar calendar. The Vietnamese New Year takes place on the first day of the first lunar month which has the date falling in January or February. For 2019, the New Year will come on February 5th. As the most important celebration in Vietnam culture, the Vietnamese people consider the New Year day as a special occasion to farewell to the old and usher in the new. It is originally celebrated by Vietnamese to thank the gods for the arrival of spring thousand years ago. This is the best time for locals paying respects to their ancestors and welcoming the new year with family members. 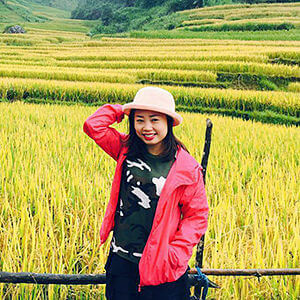 On account of that Vietnam is a country with a majority of farmers, the pleasant gathering with family members could be very precious after a year of hard work. They can totally enjoy the happiness os harvest and expect good weather and good crops in the coming year. There are also diverse special celebrations and customs of the Vietnamese New Year. 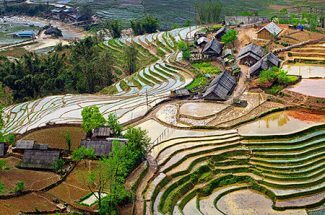 Indochina Tours will introduce all the details about it for your reference if you are planning to visit Vietnam during the festivals. 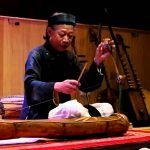 How the Vietnamese New Year is Traditionally Celebrated? Influenced by other Asian countries, Vietnamese people value their families a lot. They usually return to their hometowns and visit the graves of their ancestors as a sign of respect. However, with the development of Vietnam’s reform and the improvement of Vietnamese people’s living standard, the meaning of the New Year has been enriched. So there are several traditional celebrations related to Vietnam New Year. It could be divided into 3 periods though people generally have only 3 days off the preparation before New Year’s Eve, the New Year’s Eve and the following New Year. Before the New Year’s Eve, the preparation starts one or two weeks before the actual celebration. As early as the middle of the 12th lunar month, Vietnamese people begin to get busy. The first thing they usually do is cleaning up the house, in order to sweep the misfortune of the previous year. 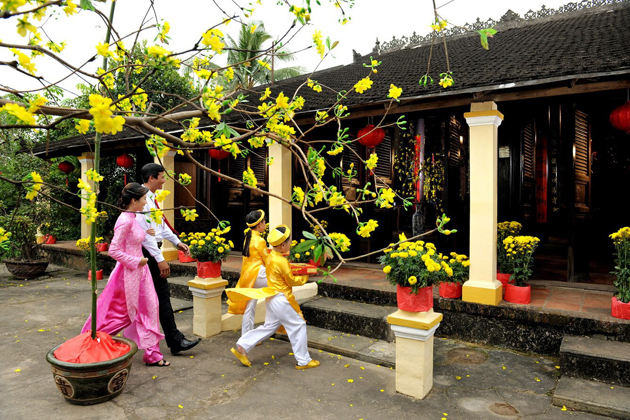 According to traditional legend, Vietnamese families usually have a family alter. Traditionally, the three kitchen guardians for each house return to heaven on the 23rd day of the last lunar month, so people will burn intense before the pictures of the kitchen guardians and place offerings such as cakes or candy. They will also release a carp back to the river to pray the guardians’ smooth return. In general, the atmosphere leading up to the New Year is also in the bustle of shopping, decorating the house and cooking the traditional food and welcoming family members to return home. At that time, each family will cook special foods and prepare other snacks for the guests visiting home. Also, Vietnamese people will try to pay off their debts in advance so that they could be debt-free during the New Year. Besides, parents will buy new clothes for their children so that they can wear them during the Tet holiday for welcoming the new coming year. On the New Year’s Eve, it is reserved for the nuclear family. Like other Asian countries, particularly China, Vietnam believes that the red and yellow color will bring good fortune. So, the elders will give red envelopes containing lucky money to wish for health, success and happy for them. This traditional custom is called “Mung tuoi” in the north and “Li xi” in the south of Vietnam. 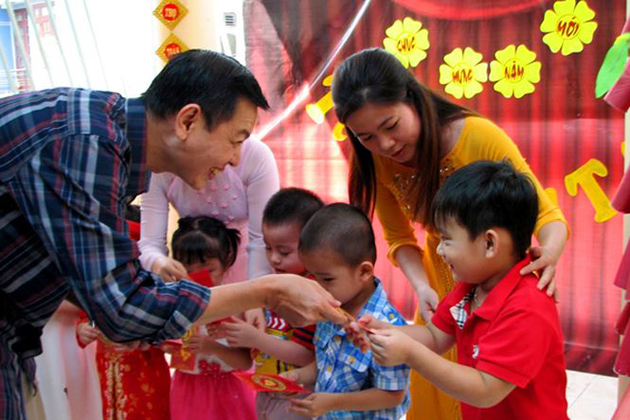 Usually, during the New Year’s Eve, children wear their new clothes and give their elders the traditional Vietnamese greetings before receiving the money. 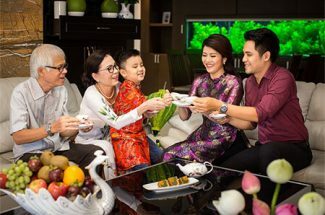 Because the Vietnamese believe that the first visitor a family receives will determine their fortune for the entire year, people will never enter any house on the Tet holiday without being invited. For Vietnamese, if good things come to the family on the first day of the Lunar New Year, the entire following year will also be full of blessings. If you are a person of good temper, morality, and success, you will be welcomed first into the house because it is the lucky sign for the host family. This special activity is called “Xong Dat” in Vietnamese which is one of the most important rituals during the New Year. Just in case, however, the owner of the house will leave the house a few minutes before midnight of the last day of the year and come back to prevent anyone else entering the house first who will bring unfortunate events in the upcoming year. During the Lunar New Year in Vietnam, the temperature is around 10℃, thus people will wear traditional clothes and gather to the downtown at midnight. When the stroke of the midnight struck, all the firework were set off at the same time. According to the Vietnamese traditional, the firework is fired to ward off the evil spirits. People can throw away all the bad and unpleasant things for past of the year, then welcome an auspicious and hopeful New Year. During the subsequent days of holiday, people visit relatives and friends. Children are nearly free to spend their new money on toys or games. 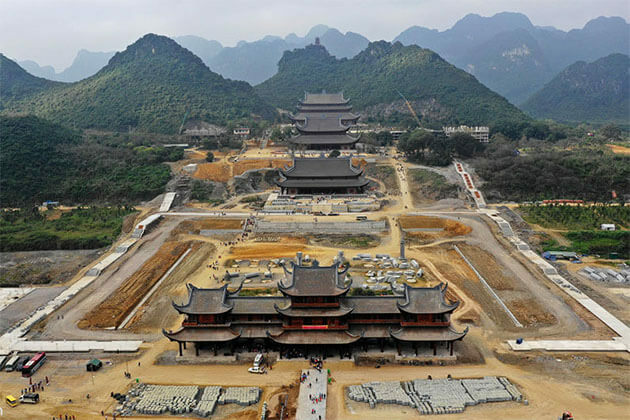 There are also several events such as flower tour, lantern festival, opera performance, folk duet and temple visit during the whole month. One of the popular spots for people to give donations is local Buddist temples. Additionally, prosperous families can pay dragon dancers to perform at their houses for entertaining. According to Vietnamese tradition, three ornaments are indispensable for each Vietnamese household during the Festival: a bunch of fresh flowers, a potted golden orange tree, and a plate of five types of fruits which symbolize a lucky, fortune and flourishing new year. In addition, in southern Vietnam, there is a popular bonsai (fruit basket) called “The Five Bowls” which consists of sweetsop, coconut, mango, fig, and papaya. All the fruits in the “bowls” could be pronounced similar with some lucky words, which aims to pray every year having enough things to spend. Also, the fruits symbolize the fertility and fruitfulness that the family hopes for the new year. 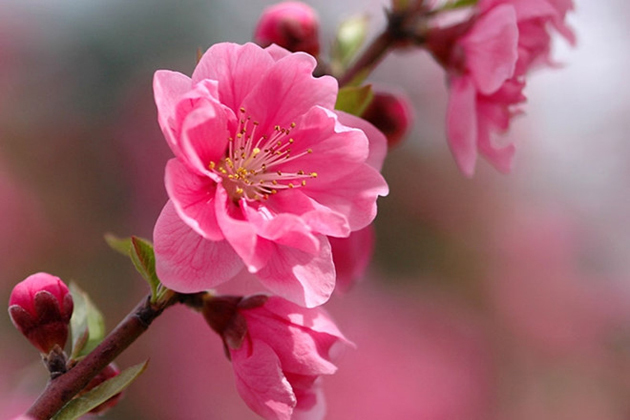 During the Lunar New Year, every Vietnamese family will buy flowers such as peach blossom and kumquat bonsai to decorate their house because of their lucky moral and decorative effect. Besides, people also display ‘Cay Neu’, an artificial New Year tree consisting of a bamboo pole. 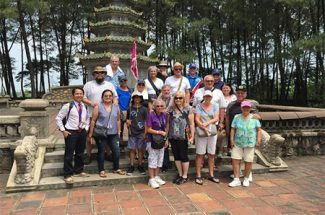 At the top of the tree, people always decorate many objects including good luck charms, origami fish or cactus branches depending on the locality. According to Vietnam tradition, Vietnamese usually put up New Year couplets and pictures in front of the main door during the Spring Festival. People used to write the lucky words in Chinese characters and they make them in alphabetized Chinese characters instead. However, most couplets have recently been written phonetically since the alphabetization of Vietnamese. In the occasion of Tet holiday, what traditional food for Vietnamese lunar new year? To celebrate the most important holiday in the country, generations of the Vietnamese have been following their traditions to cook some special dishes, such as Banh Chung, Banh Tet, Cu Kieu, etc. Read on to know the special food for Tet occasion in Vietnam. Banh Chung is considered the dispensible item for the Tet celebration particularly in northern Vietnam. 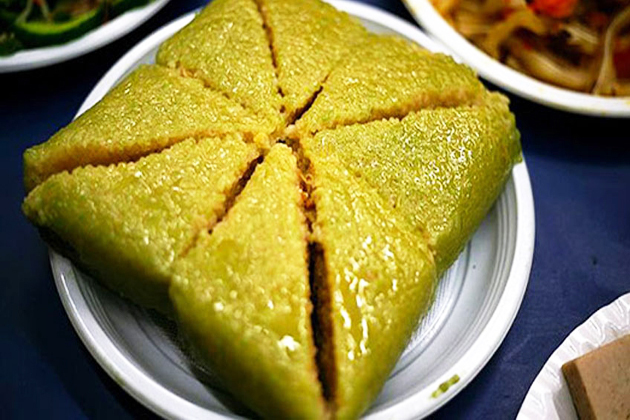 It is the square-shaped rice cake including sticky rice, season pork, and mung bean, wrapped in the banana leaves. 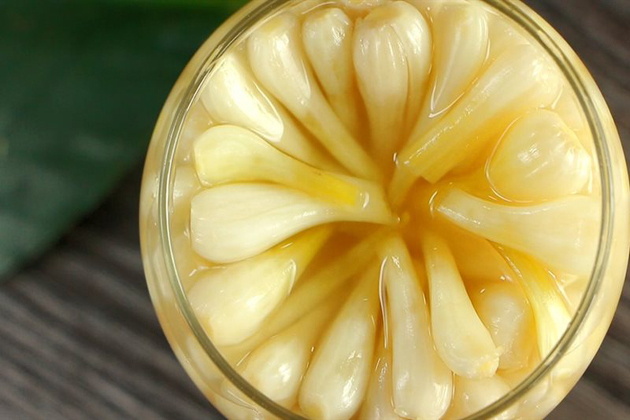 Traditionally, the square shape of Banh Chung represents the Earth, associating with deep meanings of the universe. Besides the steamed version, the Northern people also prefer the fried version of Banh Chung by frying them on the nonstick frying pan with a little oil and moderate heat. Package of this square–shaped cake usually takes 6-8 hours of boiling to finish. And Vietnamese people give homemade Banh Chung to others as a present. 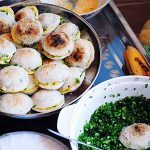 While Banh Chung is square, typical in the north and represents the Earth, Banh Tet is cylindrical, more popular in the south and represents the Moon in the universe. Despite the same ingredients of sticky rice, season pork, and mung bean, the difference between the two kinds of foods lies in their shape. Generations of the southern families often prepare and cook this special cake before the first day of the new year. In the process of preparation, the youth are expected to help to clean the banana leaves and wrap the packages following the elder’s instructions while the mothers are in charge of seasoning the pork, steaming the mung beans, preparing the sticky rice, etc., and mixing them. 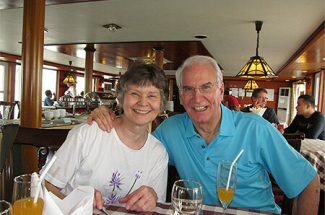 All activities create cozy and happy memories. Various kinds of root vegetables and leeks can be fermented to create the pickle which is the delicious item to eat with the braised pork and eggs in the light fish sauce. Especially, the pickles small leeks are often prepared by the housewives in even weeks before the Tet holiday. Also, some families prefer to buy the plastic jars of the pickled onions in the market. In any way, it is really common that almost every family have at least one jar available in their kitchens. This kind of traditional food is also good for digestion of the other meat-rich dishes. This is the pure Vietnamese food part. The candied fruits are wildly popular in the local markets, which ensure every family can buy lots of candied treats like coconut, sweet potato, tamarind, mango, etc. The brightly colored candied fruits are usually present on the tables to serve guests who come during the Tet spans. People of all ages love to chew it. So, if you travel to Vietnam on this special occasion and ask “What do Vietnamese eat for Lunar New Year?”, then the answers are certainly included the candied fruits. 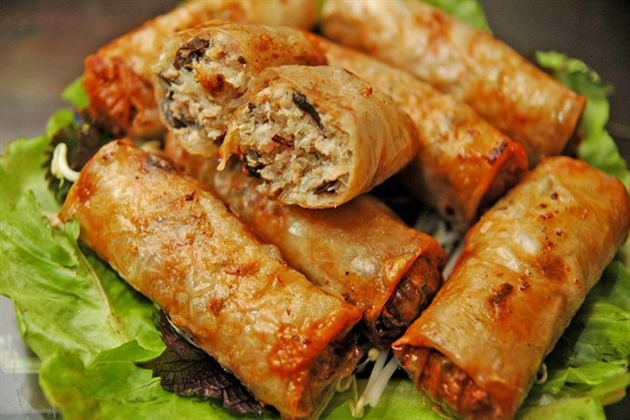 In Northern Vietnam, “Nem Ran” is considered the popular item in the daily meal and the indispensable food in the traditional tables for worshipping the ancestor. In the same sense, “Cha Gio” is the famous dish in the South of the country. Both two dishes are fried to be crunchy outside while the interior includes meat, egg, onion, mushroom, shrimp, peanut, etc. This kind of spring roll is often served with fresh vegetables wrapped in the rice paper and dipped into the fish sauce. The eye-catching display of both “Nem Ran” and “Cha Gio” certainly makes you mouth-watering. As usual, the spring rolls should be eaten while it is still hot and crispy. 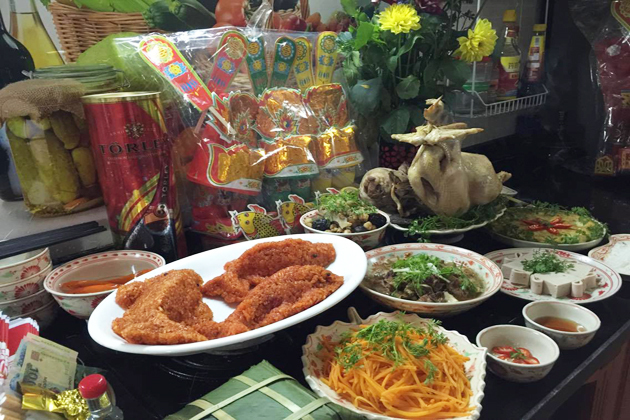 Most of the alters to worship the ancestors in Vietnam have a space for the boiled chicken – the most popular foods in Vietnam Lunar New Year. Vietnamese might put the processed whole chicken to do worshipping, but some families might decide to chop the chicken into the little pieces and display them on the plate. This delicious food is usually topped with the Vietnamese coriander and eaten with the sauce including salt, pepper, and lemon juice. With the yellow boiled and skin-perfect chicken, representing the good beginning of the New Year, Vietnamese people consider boiled chicken the indispensable food for wishing happiness and success upcoming year. 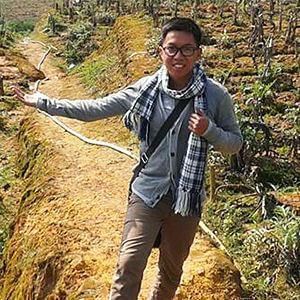 After understanding all the details about Vietnamese New Year, do you want to visit Vietnam during the Lunar New Year and enjoy the local culture and exotic charm of the country?